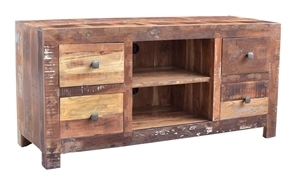 60-inch media console handcrafted from reclaimed teak and solid woods, made in India featuring hand finished distressing and natural color variations . 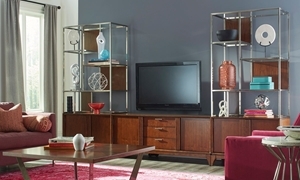 Eye-catching contemporary wall unit includes a 62-inch entertainment console and two 78-inch high storage and display cabinets. 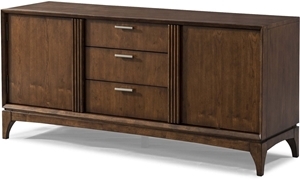 62-inch console in a brown cherry finish features three drawers and two cabinets with tambour detailing for a touch of mid-century style. 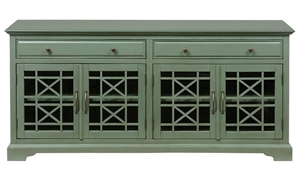 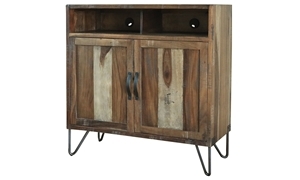 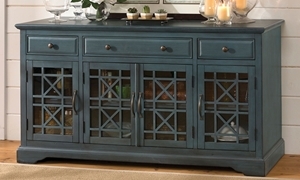 Charming and versatile rustic console in a distressed wheat finish features louvered cabinet doors with hand-forged pewter handles. 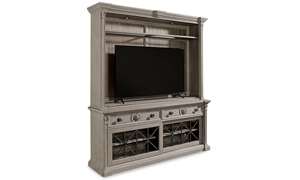 2-piece unit with removable shelves can be used to house a TV and entertainment accessories, or as a bookshelf and display case. 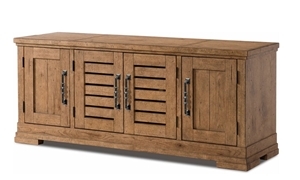 Solid parota media chest with two doors beneath open storage with rear cable access points. 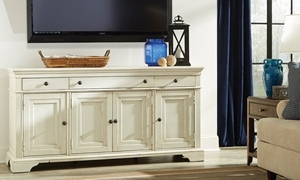 Charming console in a whipped cream finish features three full-extension drawers and three cabinets, as well as a built in power strip. 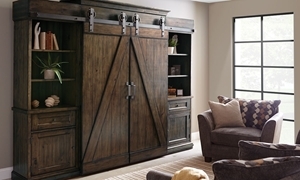 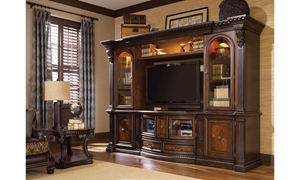 Whether you’re a technology guru or simply need a place to put your TV, Haynes Furniture has the perfect setup for your multimedia storage needs.